Ever seen the film The Number 23? 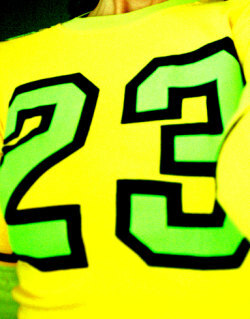 In it, the main character is confronted with the number 23 everywhere he looks. It’s been like that with the word HOPE for me this year. On New Year’s Day, I posted a blog about hope. Ironically, at a time of year where I struggle to hold on to any kind of hope at all, I have been confronted with hope everywhere I look. In my own home life, even though I have failed to keep some of my New Year’s resolutions to the letter, I have managed to take some more small steps, make some more small changes towards a more ethical lifestyle. I’m sure the same is true for you too. The question was put to the CEO of Shell worldwide and therefore answered from an economic perspective – and not really answered at all, in my humble opinion. For me, hope is not predicting when financial security will return and we can all start living affluent extravagant lifestyles again. It is about finding a new sustainable standard of living that takes into account wider issues than just our own comfort and enjoyment. And then going one step further and showing that sustainable living can be beneficial to us all and contain its own pleasures (as we found when we savoured a variety of roasted vegetables that I would not normally have bought but had delivered in my organic fruit and veg box!). Hope does seem to spring eternal from the human spirit. Thank God. Long may it last. Within each of us is the desire for better. Maybe the current times will provide the opportunity to turn from better gadgets and better toys to better people and better planet.